Moscow, December 28, Interfax - Patriarch Kirill of Moscow and All Russia is planning to visit Cuba in February 2016. “The visit by His Holiness the Patriarch to the Island of Freedom in February next year will become an important step in solidifying the relations between the Russian Church and the Cuban authorities, as well as the people of our countries. These relations have traditionally been of a friendly nature,” the chairman of the Synodal Department for External Church Relations Metropolitan Hilarion of Volokolamsk was quoted by Synodal Information Department as having said. The primate of the Russian Church has been repeatedly invited by Cuban leaders to visit their country, the hierarch said. Cuban leader Raul Castro was the first foreign head of state to have met with Patriarch Kirill after the latter’s enthronization. The patriarch already visited Cuba in 2008, when he was head of the Synodal Department for External Church Relations, and met with the Cuban leaders and public figures. “However, this will be his first visit as patriarch,” the metropolitan said. In 2016 the patriarch is also planning to visit Mount Athos to lead the festivities on the occasion of the millennium of Russian monks’ presence on the Holy mountain, he said. 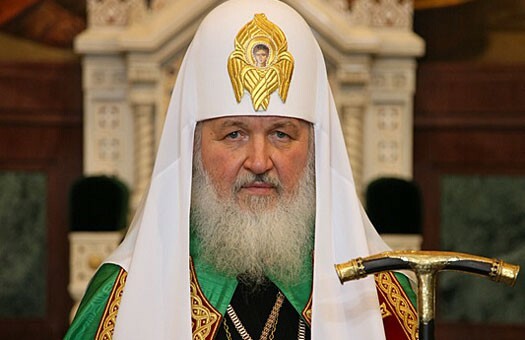 Furthermore, Patriarch Kirill has received a letter from Patriarch Neophyte of Bulgaria inviting him to attend the canonization of Archbishop Seraphim (Sobolev) of Boguchar, a prominent representative of the Russian religious emigre community, who is buried at a Russian church in Sofia. “If this canonization takes place, then on February 26, 2016, on the day of archbishop Seraphim’s death, His Holiness might visit the Bulgarian capital to attend the joint festivities of the Bulgarian Orthodox Church on the occasion of honoring the new saint,” the hierarch said. There are also plans for other foreign trips, but the format and the dates of these have yet to be confirmed, he said.